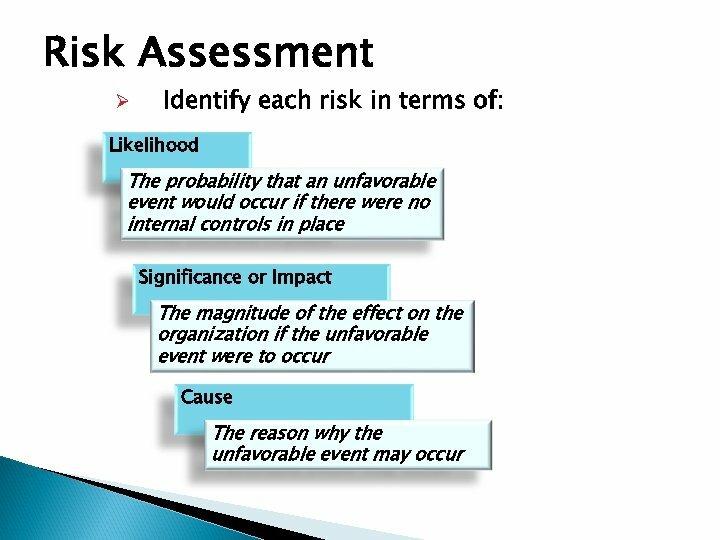 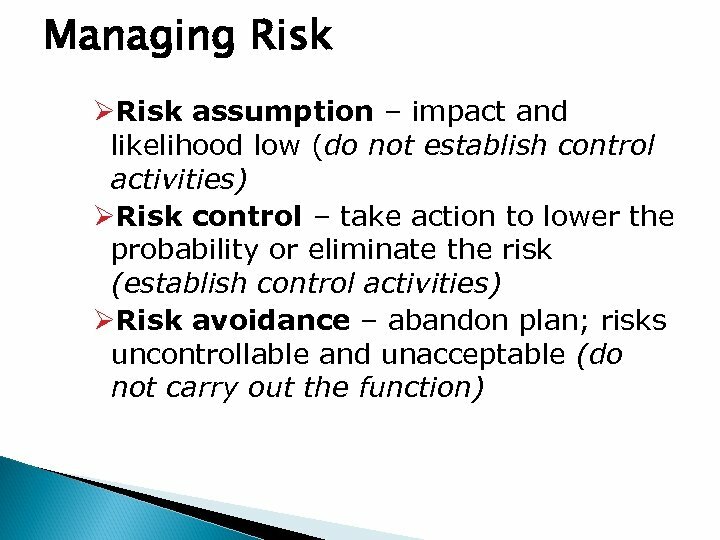 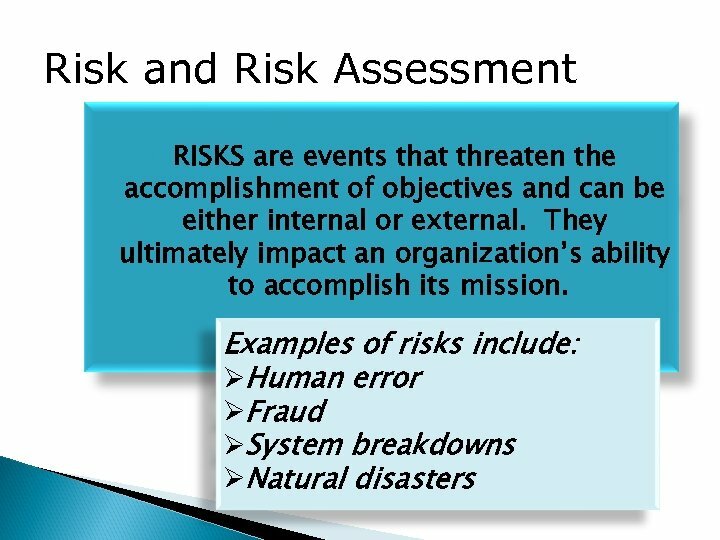 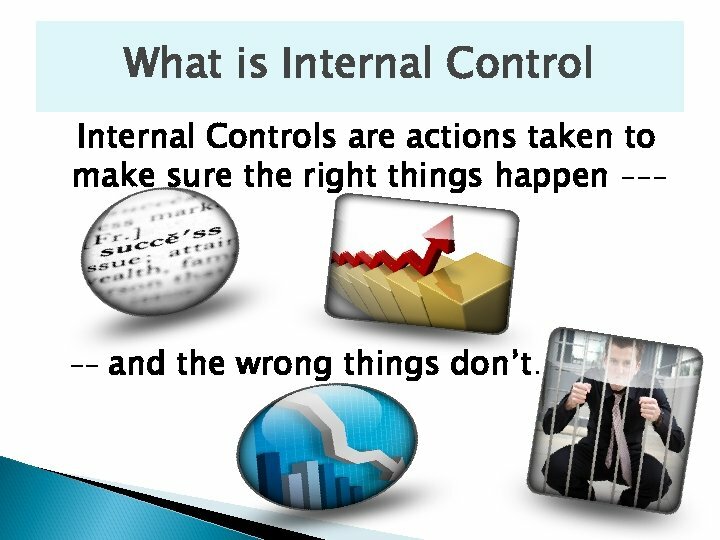 What is Internal Controls are actions taken to make sure the right things happen --- -- and the wrong things don’t. 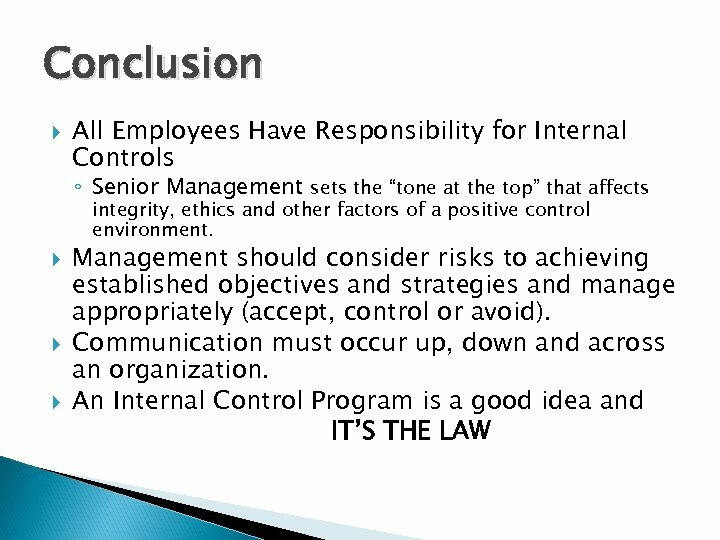 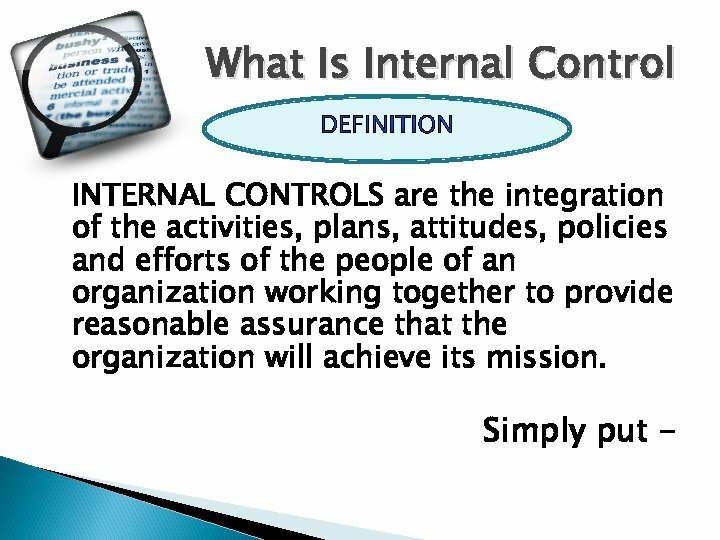 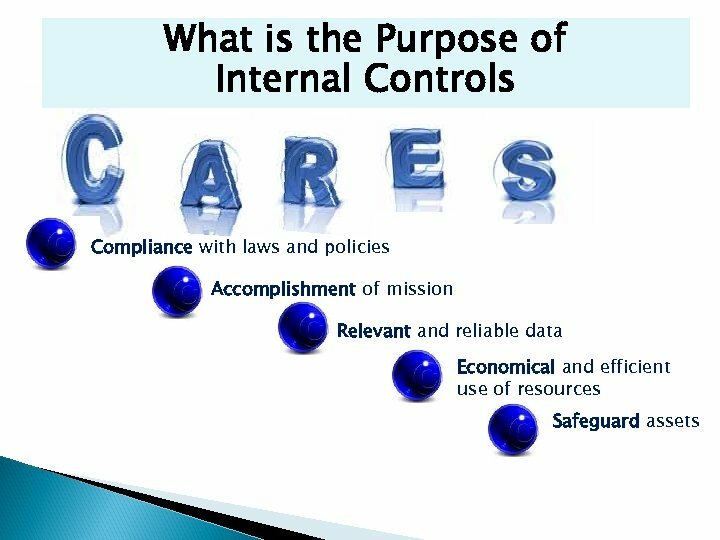 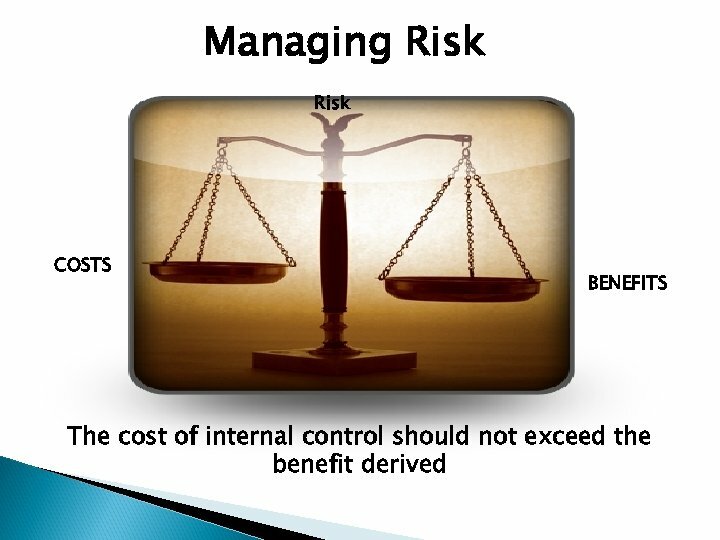 Who is Responsible for Internal Control Everyone in an organization has responsibility for internal control. 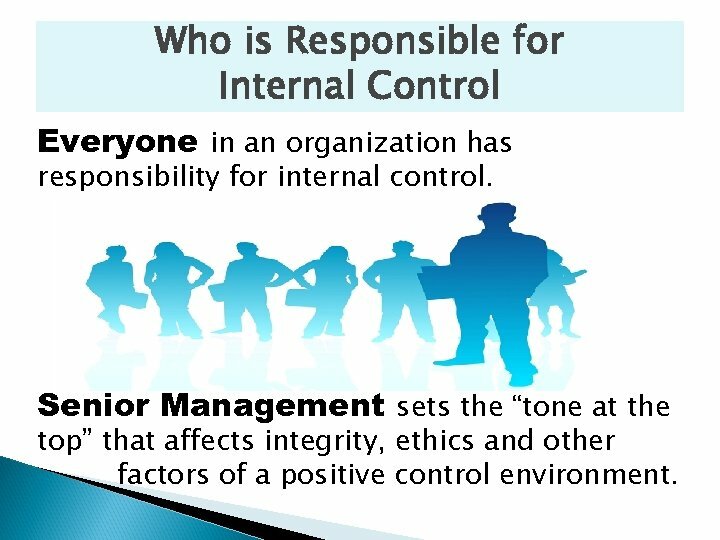 Senior Management sets the “tone at the top” that affects integrity, ethics and other factors of a positive control environment. 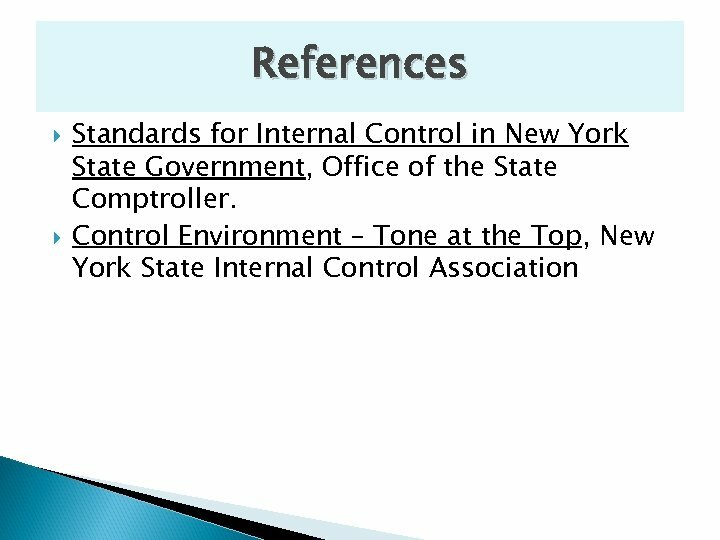 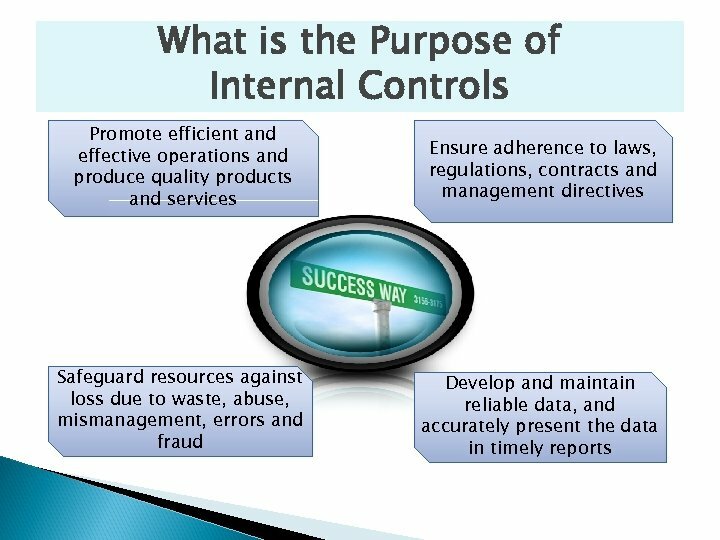 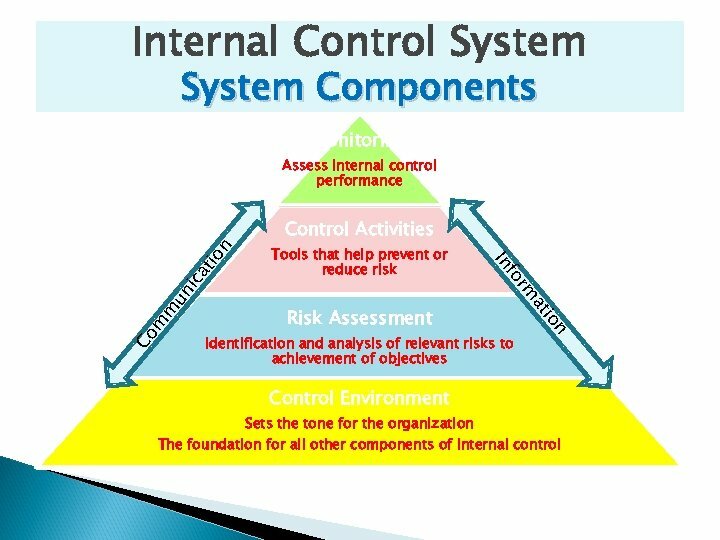 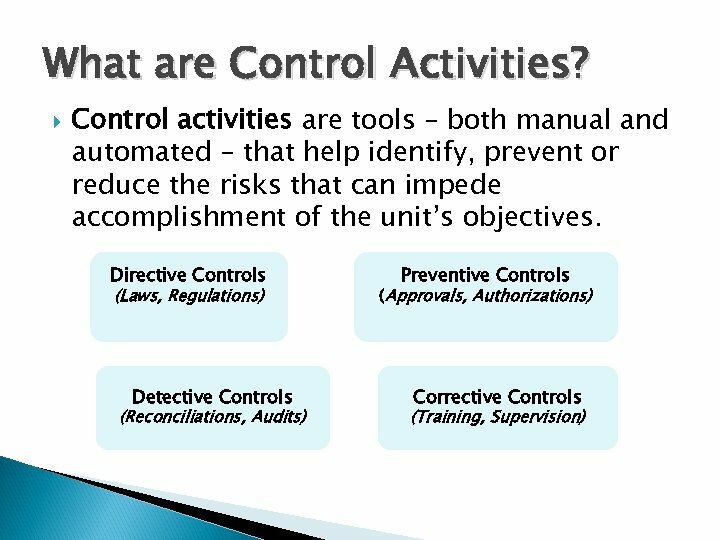 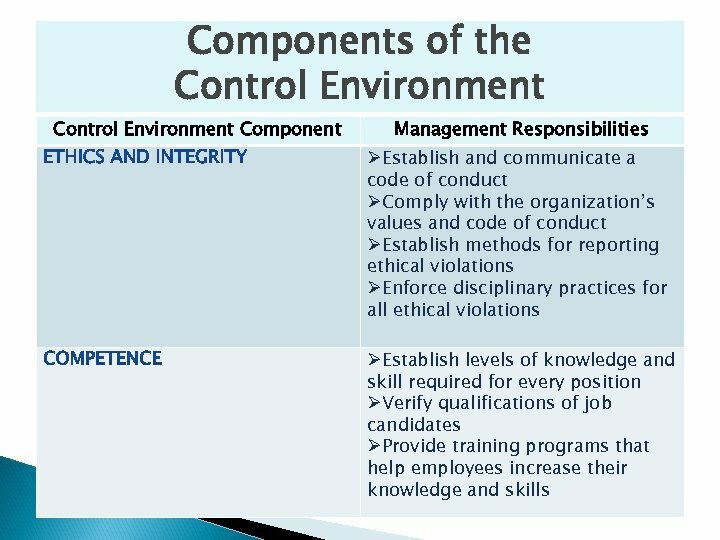 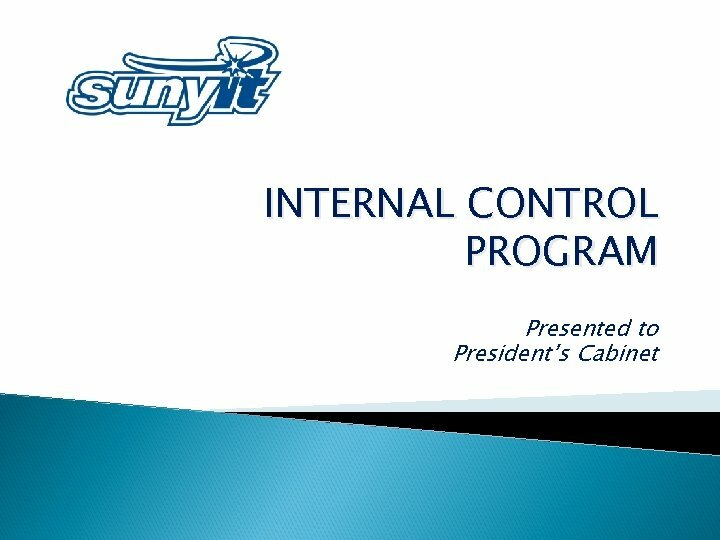 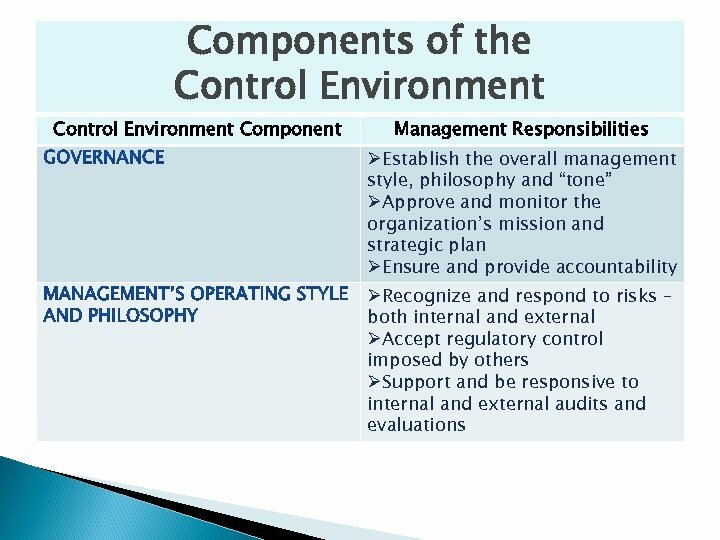 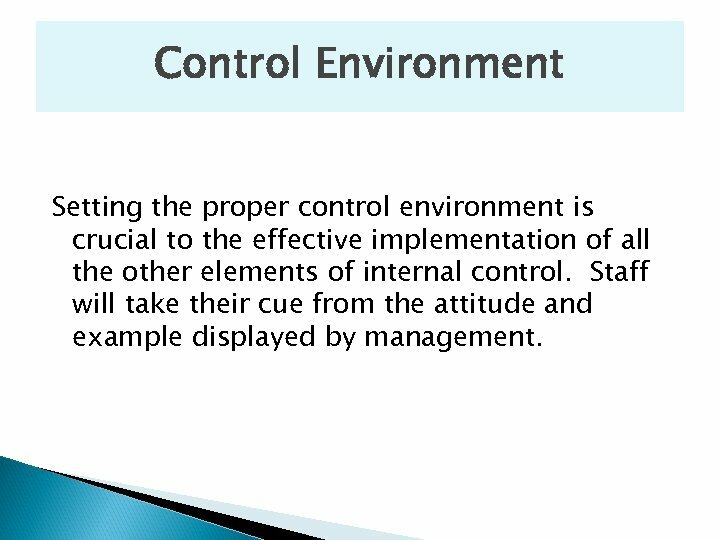 Control Environment Setting the proper control environment is crucial to the effective implementation of all the other elements of internal control. 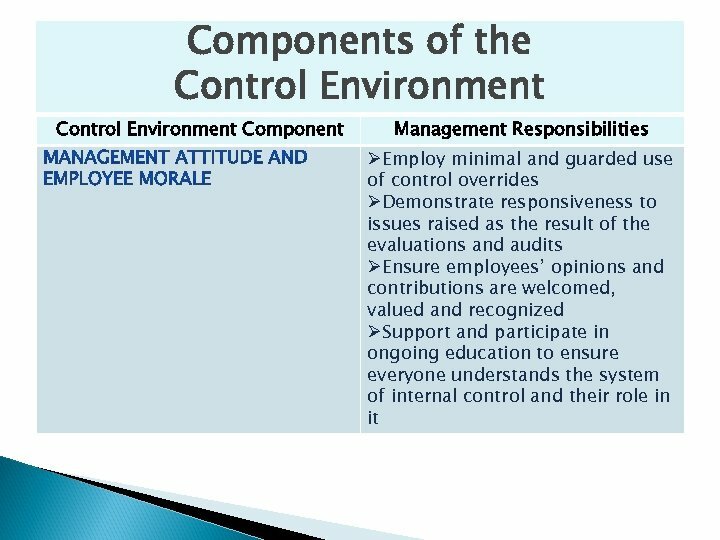 Staff will take their cue from the attitude and example displayed by management.